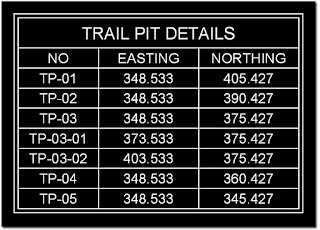 Trail pits with Table Lisp help you while creating trail pit location drawing , It will create a trail pit table according to the trail pits locations placed in the drawing. Download Trail pits with Table Lisp Click here.. 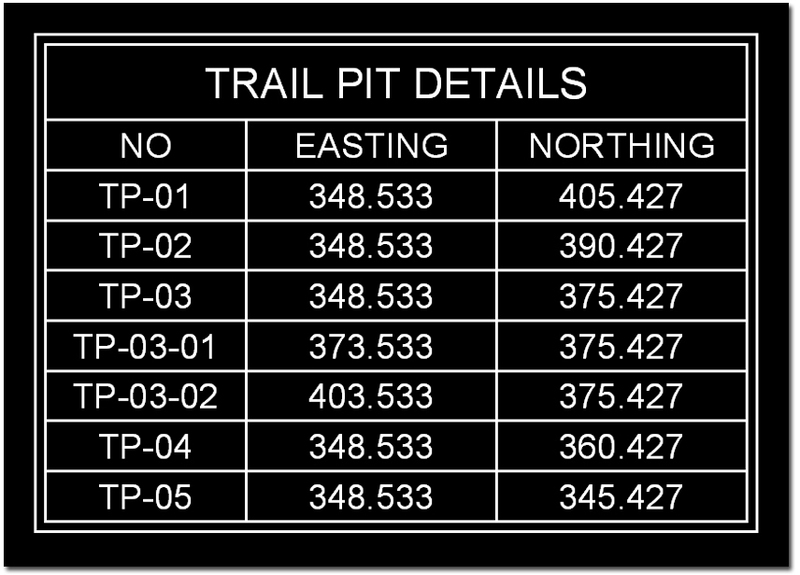 If need to create some sub numbers, Type “TSN” to place Increment trail pit sub numbers. 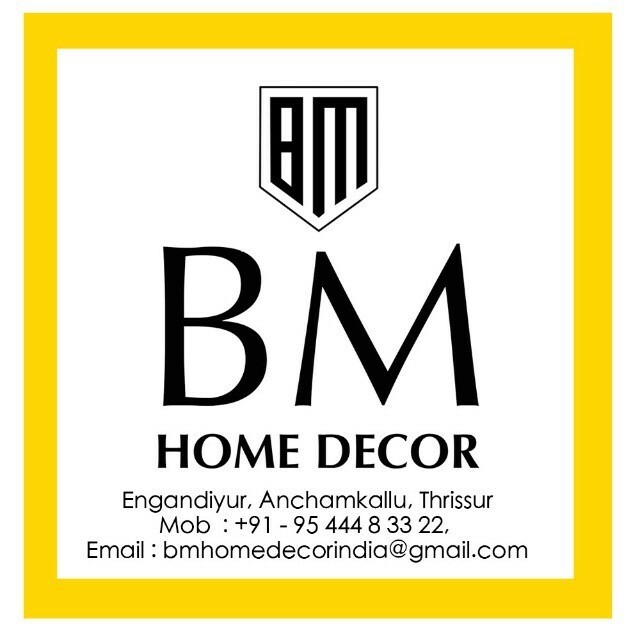 Then Pick a point on your Layout to place table. 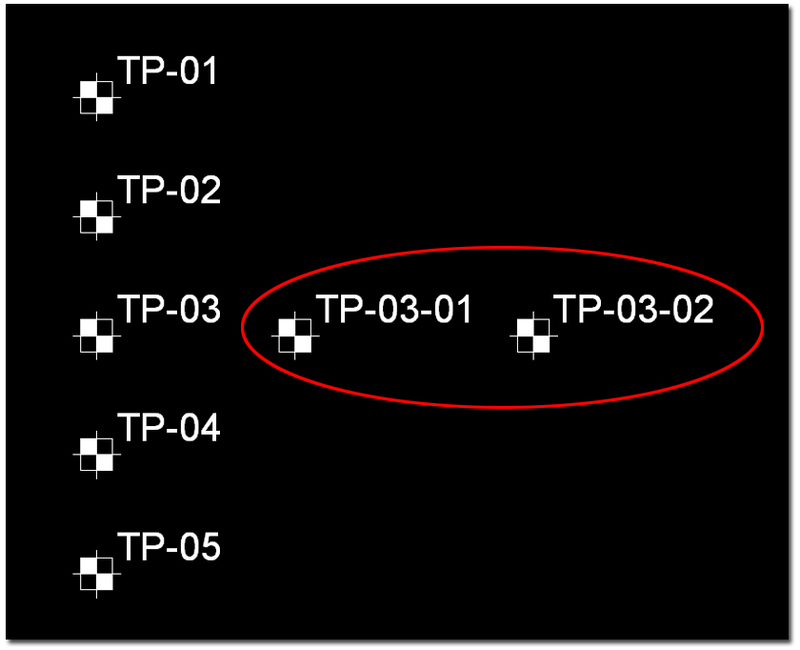 This will automatically create a table with all Trail pits placed under the model space. 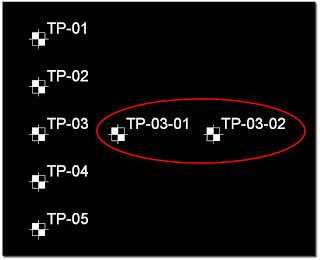 The Trail pits table will automatically create the table with an ascending order. Then Pick a point on your Layout to place new trail pit table. 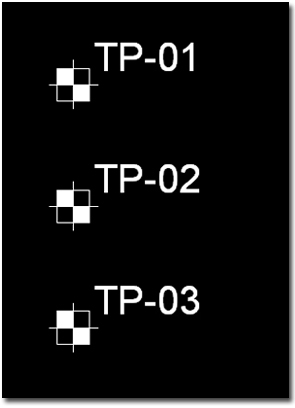 This newly table will create only those coordinate values of the changed trail pits. 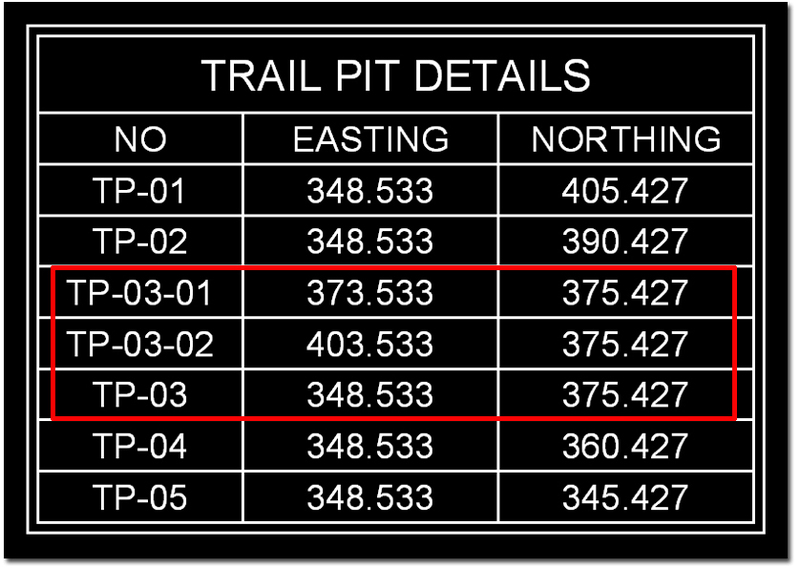 And replace the newly Trail pits table values with the existing values. 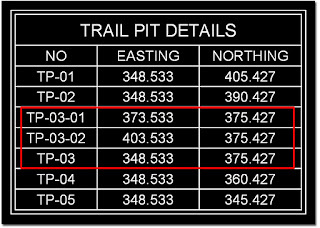 While using “trail pit sub numbers”, order of trail pits may not be in the ascending order, so adjust manually to make it in an ascending order.